Building a winter wedding outfit is a process rife with problems. You want to be warm, but you don't want to feel so bundled up that you can't show off your outfit. Then there's the issue of accidentally wearing all black and looking rather sombre for a lovely occasion. Indeed, it's a sartorial minefield. But fear not, as there is no shortage of solutions to the cold-weather outfit dilemma. Our editors have worked tirelessly to hunt down a few looks that are super-easy to copy, will not only work for someone's chilly nuptials but also for that office bash you've got coming up too, and may help you get use out of pieces you already own. What can we say—we're partial to a bit of multitasking! Keep scrolling to see to unlock the winter wedding outfits guaranteed to earn you best-dressed guest status. Style Notes: Winter doesn't mean you have to hide behind chunky outerwear. Instead, make long-sleeved dresses your go-to for any occasion, weddings included. Chances are you won't have to spend much time outside anyway, but the long sleeves will give you that little extra defence from the elements. We also recommend opting for a style that falls below the knee. Wear this dress off-duty with tan knee-high boots and borg jacket. Tan leather arm candy will serve you well for seasons to come. Give any outfit instant polish with hammered metal earrings. The extra-thick toe-strap will give you extra support for when you hit the dance floor. Style Notes: Trousers present a chic alternative to typical wedding guest dresses. For a winter service, we suggest choosing a wide-leg pair in decadent satin for a gorgeous look that's also season-appropriate. Why not double up on the sheen with a silky blouse to boot? We're sure the bride won't mind you wearing cream when it's tucked into burgundy trousers. The structured cut of these cropped trousers will look flattering on all body types. You'll wear this bag way beyond the ceremony. Heels not your thing? 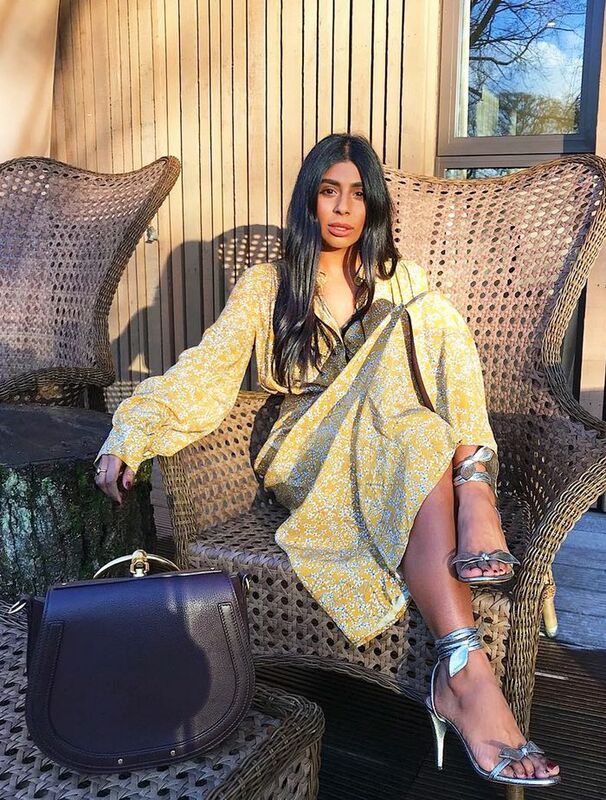 Flat leather mules look just as sleek. Style Notes: Want to get more wear out of your favourite occasion dress from the summer? Try layering it with a jacket in the same colour to create an effortlessly pulled-together ensemble. While you're at it, make like Aimee Song and take your coordination skills to the next level with a matching handbag and shoes. This jacket will look just as chic worn with ripped jeans in your downtime. Try popping a long-sleeve roll neck underneath this dress to get more wear out of it during the winter months. 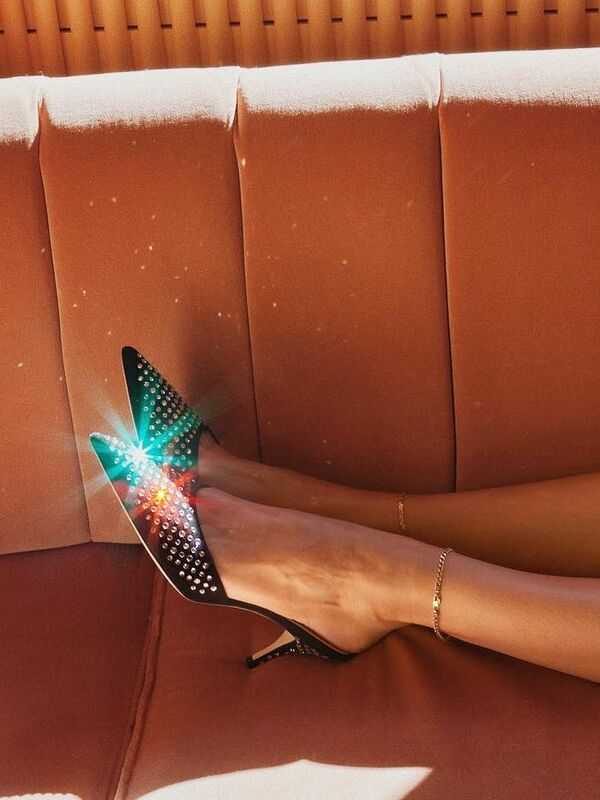 Because who doesn't want another pair of party-ready shoes? So extra, but we love it all the same. Style Notes: Brides aren't the only ones optioning for suits at weddings—in fact, they're fast becoming more popular amongst guests, too. In winter, they're a no-brainer as they'll inevitably keep you warmer than any floaty dress ever could. Opt for velvet to up the glamour. Part cord, part velvet—this blazer couldn't be more on-trend if it tried. The front splits are just asking for ankle-strap shoes. Pair your suit with a neutral-toned bag to make it feel more relaxed. Left planning your wedding guest outfit to the last minute? Not to worry—simply order one of these dresses on next-day delivery.